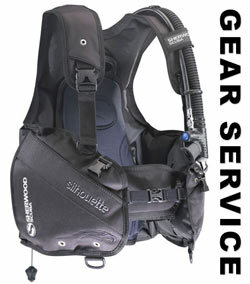 This time of year is the perfect time to have your scuba equipment serviced at Air Down There Scuba. Our professional technicians can complete the annual service or inspection of your regulator, dive computers, BCDs and tanks. Having your gear serviced well-before your warm-water trip is a very good idea, and if you’re a local diver having your gear serviced during the winter ensures your gear is ready to go as soon as the weather is right for diving our Local Dive Sites. Additional information and service prices can be found on our Equipment Service page.